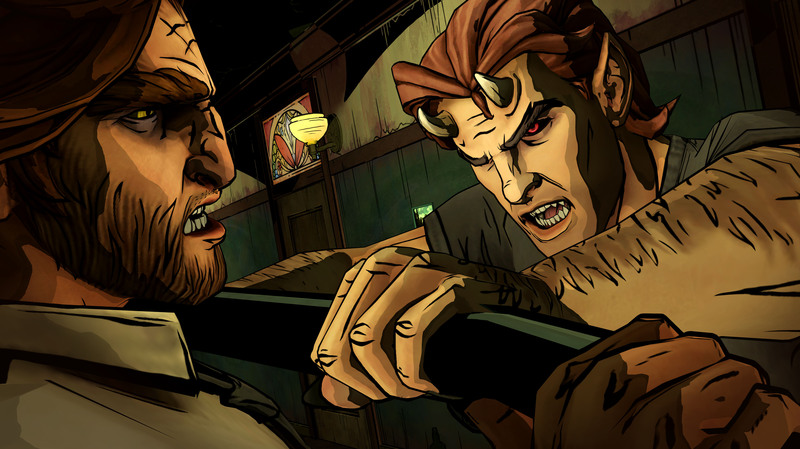 The new Telltale episodic series continues on as the murder mystery gets weirder and more disturbing as Bigby starts putting it all together in the newest episode. Spoilers ahead. 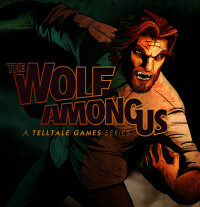 The Wolf Among Us is the Telltale adaptation of the well-known Fables comic featuring classic fable characters who have been forced to move to the “mundane world” after being driven from their fantastical homelands. Of course, not many of those fables made the transition as smoothly as they’d have liked, so there’s a lot of hardship and tension amongst the community as they work hard to make ends meet. 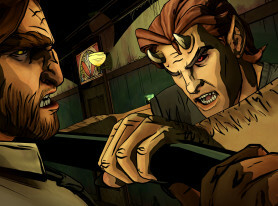 The first episode began with the murder of one fable and quickly escalated as Bigby Wolf, the sheriff of Fabletown and maybe more recognizable as the Big Bad Wolf, investigated the crime and figures out that things are going to get much worse before they get any better. 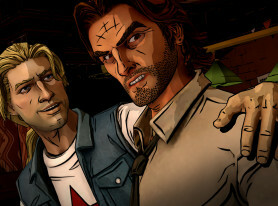 If you haven’t played the first episode or don’t want spoilers before starting the next episode of Telltale’s newest episodic series, go play them right now since this part will be spoiling some aspects of the second episode, but I’ll do so as little as possible. This is your warning. As we left off with the end of the first episode, Bigby found Snow White’s head on the doorstep of his office and begins episode two in an actual police station answering questions about Snow’s murder. It’s not much longer before Fabletown Mayor Ichabod Crane arrives having used a spell to knock out and wipe the memories of the investigators so they can escape with their community’s secrecy intact. 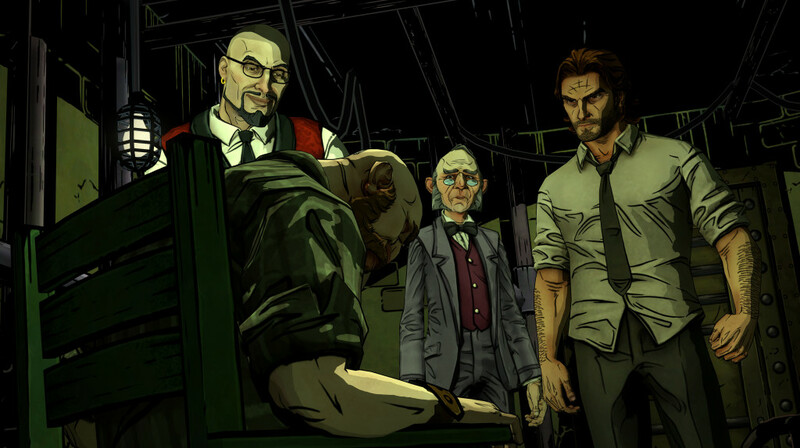 You do eventually find out that it wasn’t Snow White’s head on the doorstep and that she is okay, but you quickly find out that this whole thing is a lot more depraved and sickening as Bigby delves deeper into the events that have occurred by those involved. This is where the spoilers stop. I won’t spoil anything else, but the ending of this episode is on a similar level as the ending of the first episode and does a great job of giving you a reason to curse as a new shocking revelation occurs just before it ends. 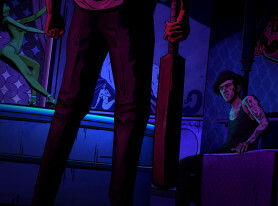 Episode Two of The Wolf Among Us does a good job of focusing on expanding and examining the events that occurred in the first episode and not forcing anything in there to make it feel like they’re following the previous episode’s template. There are very few fight scenes here, at least in terms of forced fights that I experienced. I could see maybe two occurrences that I avoided by approaching them a specific way, but this didn’t feel like an action-heavy episode like the first. 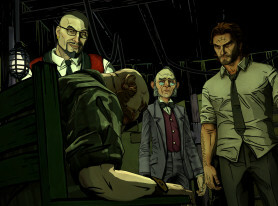 They wanted to further expand upon what occurred in the first episode and examine them in great detail as Bigby gets serious about the investigative aspects of his job. Even the idea of having the choice between visiting two places to spend your limited amount of time with consequences didn’t seem to be a factor here at all, so that further enforced the impression I got that this episode wanted to tell the story of the consequences of the murders and the investigation. It continues to be disappointing that there is still a lack of polish here, as I played the PS3 version of this episode. The big issue was the game freezing right after I heard Bigby say “Mr. Toad…” to kick off the start of the episode, which was at least the only major issue but caused me to be concerned with every load that occurred. There were also occasional audio stuttering bugs when scenes started and some hitches that made me wonder if that would be the moment when it froze again. I had a great time despite those issues, but I’d love to see Telltale finally knock off with these bugs so their great series could be able to stand on their own merits and not be plagued by mechanical issues on every platform. 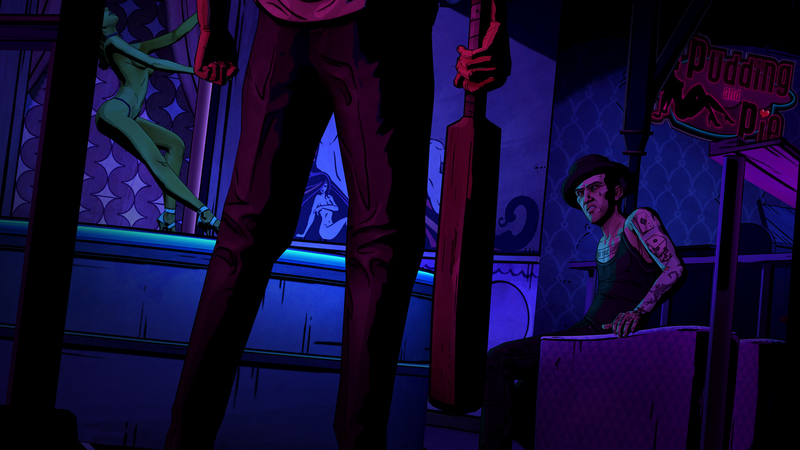 With the three month break since the first episode, The Wolf Among Us comes back with the right kind of episode to get you hooked on seeing this investigation through all of its many twists and turns as it focuses just on furthering the story. 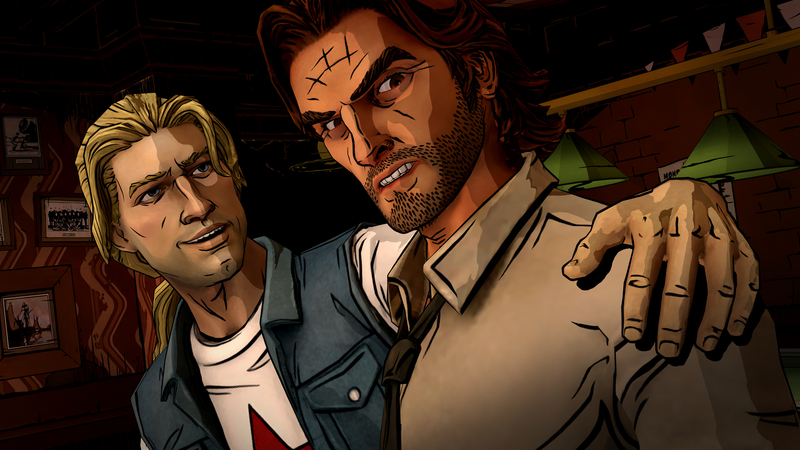 Telltale’s done a good job of putting the season pass on sale for Steam, Xbox Live Arcade, and PlayStation Network, so many of you have probably jumped on them to ensure you don’t have to miss out. For those of you that are interested and are waiting for the season to finish up first, after two episodes, this is looking to be another fantastic series from Telltale in the mold of The Walking Dead. They’ve done a great job of making this series stand on its own instead of just being a clone of The Walking Dead telling a new story. The only thing that really tarnishes the series continues to be Telltale’s buggy engine that plagues everything they release. The game was purchased by the reviewer on the PlayStation 3 and played through over a 90 minute session prior to writing this review.